The DREAM BIG Campaign began with a feasibility study in 2008 and private solicitations in 2011. DREAM BIG targeted support for curriculum, technology, fine arts, athletics throughout the District, as well as an endowment for future needs. Curriculum – Project Lead the Way. 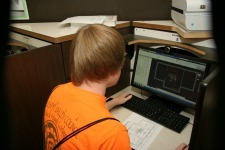 A huge success at Quincy High School and the Quincy Area Vo-Tech Center! 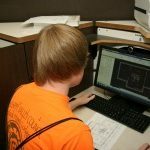 The PLTW pre-engineering program is a sequence of courses which follows a proven hands-on, real-world problem-solving approach to learning. Students learn and apply the design process, acquire strong teamwork and communication proficiency, and develop organizational, critical-thinking, and problem-solving skills. They explore aerodynamics, astronautics, and space life sciences. 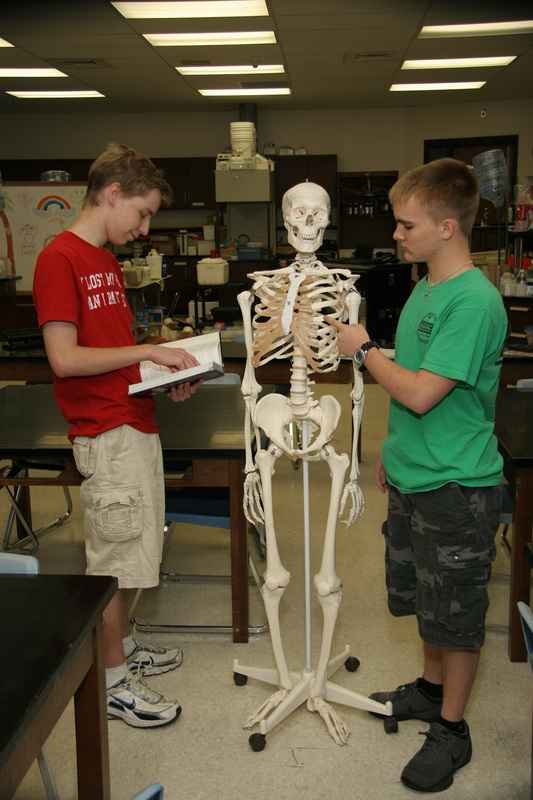 Students apply biological and engineering concepts related to biomechanics and robotics. They design, test, and actually construct circuits and devices such as smart phones and tablets and work collaboratively on a culminating capstone project. It’s STEM education, and it’s at the heart of today’s high-tech, high-skill global economy. Technology – Wireless Infrastructure. The QPS Foundation partnered with the Knapheide Manufacturing Company and the Knapheide family to install a robust, wireless infrastructure in all QPS buildings. This will enable our teachers to support student learning through a mobile digital environment and to use a wide variety of devices, including laptops, iPads, tablets, and future innovations. 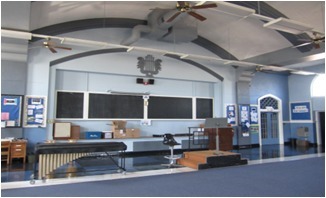 Fine Arts – QJHS Band Room. 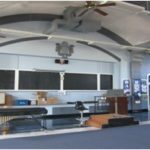 Introducing the Dr. John Lynn Lubker Band Room at Quincy Junior High School! Quincy native Dr. John Lynn Lubker (QHS ’47) and his wife, Dr. Bobbie Boyd Lubker, of Chapel Hill, NC, wanted to do something special to recognize the music education he received while attending school in Quincy. They donated funds to help revitalize the band room on the top floor of Quincy Junior High School. Lynn played trombone during his high school years and went on to play in the Air Force Band. Both Drs. Lubker are retired from the University of North Carolina. 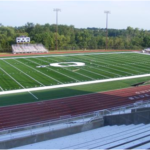 Athletics – FieldTurf at Flinn Memorial Stadium. A group of QHS alumni and Blue Devil football, soccer, and marching band enthusiasts came together to replace the grass field at Flinn Stadium, which had long out-lived its intended lifespan. 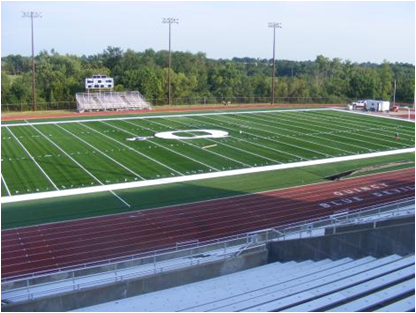 FieldTurf is the most trusted brand in the industry of artificial turf sports. The new turf has provided the safety and performance our student-athletes need to be on top of their games, as well as the durability the Foundation was seeking to maximize the community’s investment. 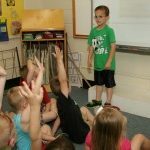 The Child/Family Mentor Program actively involves more than 230 mentors assisting children in the Quincy Public Schools this year. 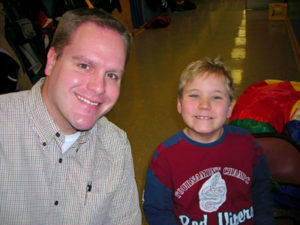 This program matches positive, caring adult volunteers with students in a one-on-one supportive relationship. The program has earned the Governor’s Home Town Award, the Tutor/Mentor Connection Award for the State of Illinois and the Presidential Daily Points of Light Award. 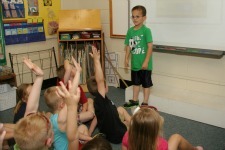 The QPS Foundation partners with the Quincy Public Schools to fund the Child/Family Mentor Program. The following business partners provide mentors: ADM, AFLAC Insurance, Big Brothers/Big Sisters of Western Illinois, Breakfast Kiwanis, Cason, Huff and Schlueter Insurance Agency, Gardner Denver, John Wood Community College, Medical Alliance Society of Adams County, Prince Agri-Products, Quincy Service League, Quincy University, and Shottenkirk. Implementing teacher training and curriculum development. Providing support for collaboration with key leadership organizations, consultants, and universities. Upgrading science laboratories, equipment, classroom supplies and materials that went beyond the regular classroom curriculum.